When considering the complexity of the application process for Supplemental Nutrition Assistance Program (SNAP) benefits (or “food stamps”), it is not surprising that there are numerous places along the road where the process can veer off course, delaying a client’s ability to use their benefits to buy food. It is all the more frustrating when that process veers off course after a client is under the impression that they have already crossed the finish line. Just Harvest recently encountered several situations in which a client was able to successfully navigate the treacherous obstacles of accurately filling out an application – gathering the mountain of supporting documents for verification of their situation and sending it off to a County Assistance Office, completing an interview with a caseworker and being approved for benefits – with nothing to show for it. The final, crucial step that allows a person to finally use their benefits, receiving an electronic benefits transfer (EBT) card, never happened. How can it be, that after what can at times, be a month-long process of phone calls, left messages, faxes, mailings, and more phone calls, a client can be approved and not receive a card? Where does the car veer off the road? When a new client is approved for benefits, they have the option of having their EBT card mailed to them. For clients who are working full-time, caring for young ones, or are otherwise unable to make it into the County Assistance Office, this would seem to be a convenient option. When a new client is approved for SNAP benefits, a notice is automatically sent from Harrisburg, informing them of their status and the amount of benefits to be expected. If they cannot pick up the EBT card at the office, it is sent from JP Morgan, who has a contract with the Department of Public Welfare (DPW) to create the cards and manage the EBT system. Once a card is issued, it should arrive in 3-7 days. However, unlike the notice of eligibility from Harrisburg, the card is not automatically issued. It requires an additional step from a caseworker to issue the card. If that step never happens, a client does not receive a card, and is unable to use his or her benefits. This situation raises several questions. Why isn’t the card automatically issued, like the eligibility notice? 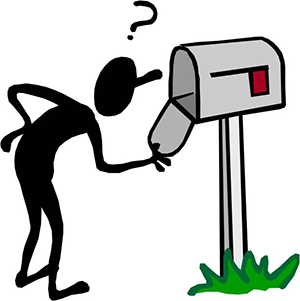 How often do caseworkers forget to issue a card? What is the average amount of time it takes a client to receive a card after they have been approved? For a process that can already take 30 days just to determine eligibility, having to wait an additional few days or weeks, could be extremely difficult for someone who needs food right away. Just Harvest recently encountered a case in which a client was approved, but never received a notice or EBT card. After receiving a Just Harvest newsletter months after applying for benefits, he called to say he had never heard anything. When our advocate inquired about the case, the gentleman had been receiving benefits for over five months and had no idea. Admittedly, this is an extreme case, yet it illustrates another barrier to receiving food stamp benefits, which have the potential to discourage even the most persistent applicant. DPW needs to ensure that all applicants who are determined eligible receive an EBT card in a consistent and timely manner, so that clients are never forced to hunt down a card that they have already invested so much time and energy into obtaining. I too have been approved for food stamps and never received a EBT card. This has been going on now since the beginning of July…3 months. Got an update yesterday and the increased the amount to me. However, still NO EBT CARD! The communication is horrific! Can you help me? SAME THING WITH ME although I am in Alabama. I had to send my neice away because I couldn’t afford to feed her. I will be fine living off ramen, but 2 year old thats just impossible. I have finally gotten someone to acknowledge my existance SIX MONTHS LATER. But now I’m still waiting on the card to actually come. I was told 3-5 business days. Here it is two weeks later. Still waiting on the card. All you have to do is order an Ebt card yourself that’s not the workers job…..
Actually yes it is. If we have to provide documents upon documents, stand in lines, be put on hold for hours and have to come back multiple times, the least they can do is finish the process which is to send out the card. When you open a bank account you don’t have to call and order your first card do you? No, they will either sit there with you at the bank and allow you to pick out your card or go ahead and place the order after verifying the address. I have order and reorder my card myself. Going on two months now. They said the first card was returned undeliverable so I order another card the food stamps are on there. I just can’t seem to get my ebt card. They have the right address. I don’t know what else I can do other than order it again. I’m not sure that will do any good. What do I have to do to get my ebt card? Rhonda – If you live in Allegheny County please call us: 412-431-8960 x602. If I found my old card can I cancel for the one they are sending out? Hi Patrice. Once you order the new card the old one is automatically cancelled. same in pennsylvania, was sent a letter saying hundreds is on the card but i have never received a card. its going on 4 months and i have NO idea what to do as i work every single day and my husband is deceased (2 years). we are getting by on family help but that will soon run out. i am worried taking a day off of work will result in sitting in the CAO for hours with no positive outcome. its so sad how our government dismisses the impoverished! the educated, working masses who need the help are too ashamed to raise their collective voices because of the stigma attached to receiving government assistance even if it is temporary! and nothing is ever done. I am still waiting for mine. Been approved. In Pennsylvania….it’s ridiculous..and I don’t know if I should go down to office or not? Absolutely! Give us a call at (412) 431-8963. Yes it is the state employee, case workers job, to issue the card. Read the job description. Ordered mine in February its now July and I’ve ordered 6 now in total, lost my job 8 months pregnant with no way to get food if this 6th one doesn’t come through this Is ridiculous. Brooke – do you live in Allegheny County, PA? If so, give us a call. Perhaps we can help. 412-431-8960 x602. Rebecca – Unfortunately, we only operate in Allegheny County, Pennsylvania so we can’t speak to Louisiana state government practice. How can you find out if a new card has been issued , without a pin number? I ordered a new card because mine would not scan no more than was a really bad idea, I called and complained 4 times and they told me 3 times they have sent out another new card its been 3 months and I still have not received my card. And she no longer hands out emergency bridge cards no more. We’re sorry to hear that. Are you located in Allegheny County, PA? If so give us a call and we’ll try to help: (412) 431-8960 x602. Did you activate the card? Are you living in California now? If so, I’m afraid we can’t help you. If you are a resident of Allegheny County, PA then call us at 412-431-8960 x602. Rochele – do you live in Allegheny County, PA? If so, please contact us at (412) 431-8960 x602 and we can help you sort out what’s going on. I was told by my case worker that I am approved for $700 for the month of December bc it was retroactive from when I applied, and $500 for months after. I went to pick up my card today in the Butler Co. Office and was told to call the number to chose my pin. Did that, signed the paperwork, and left. Was told nothing about funds not being automatically available. Went to store and no funds are on my card. Really embarrassing. Called the number on the card and said no funds/balance on card. I plan on calling the office tomorrow to see what the problem is, but it’s frustrating. It is impossible to get without the EBT card because I lost the damn thing on the street. When i first applied, i was approved and never got my card. I waited well over a month for it! So i went into the office And complained and they made me one right then and there. Literally the second i got home, the card came in the mail! I was so mad lol but i have just re applied and still have heard nothing after a month, however when i checked my balance, it had me re actuvate the card? I am staying hopeful that it means i am re approved! Has this happened to anyone else? Hi Liz. If your benefits are re-opened you should get a notice. EBT card issues are very common, sadly. Dee – If you’re in Allegheny County please call us at (412) 431-8960. I received an approval notice for snap, but the ebt card was not included. How do I get the card? Hi Robert. If you live in Pennsylvania, receiving the card can take 7-10 days after you’re approved. If you want to double-check that it’s on its way you can call the Dept. of Human Services Help Center: 1-877-395-8930. If you told the caseworker during the interview that you still have an old card then your new benefits would be added to your old card. Tara – if you are located in Allegheny County you can call the PA Department of Human Services EBT Hotline at 888-328-7366. Are you located in Allegheny County? If so, please call us at (412) 431-8960 x602. Got a letter stating I was eligible for food stamos and would start Jan 31. It’s now Feb 17th,still no card. Calling the SNAP office only leads to a message stating “You’re call is important to us,please call back later”. Doesn’t sound like it’s important to them as I’ve been calling every hour,every day for almost 2 weeks now. Tried the Luzerne County number…same bull. I am having an issue involving my acceptance for being an expedited food stamp recipient (7 calendar days). I was told that the caseworker would input my application for documentation within a few days, and it has now been 5 days later, and still yet their office has no whereabouts of my new information. Is it possible that my caseworker has forgotten or lost my information? I got approved the first week of June she told me my card should be here in the 7-10 business days well I still haven’t received one til this day so I called the number and just said my card was lost hoping they would send another one and I still haven’t got one but when I call my balance it’s money on there so I just don’t have the card Idk what’s going on but this going on the second month why should I keep saying my card got lost if I’m never getting one in the mail! I recieved my ebt card on the 13th of july but there are no benifits on it its now the 15th of july and im so confuzed on if i get benifits this month or next .? What’s the update? Its been almost a month. I gave my correct mailing address. Yet after they told me it will be sent after I got approved it didn’t come. I ordered a replacement card and it still didn’t come. Its been almost about a month. I got approved Jan 2 but its now Jan 28. I’m breast feeding mother. I can’t afford to be eating so little because its not producing enough breast milk for my baby. This is outrageous.